A useful new feature in Dymola 2013 is submodel aggregation,which allows you to quickly create a new submodel from a group of components within an existing model. 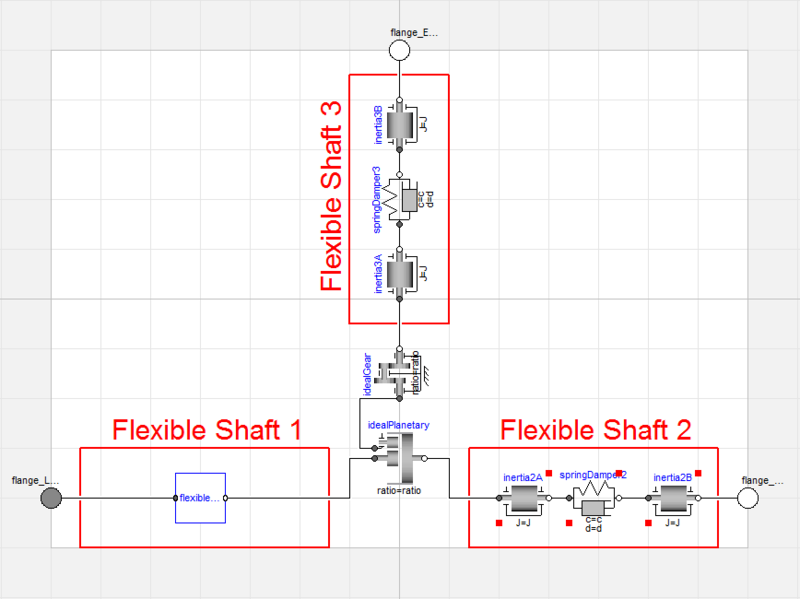 This feature provides an alternative method for creating subsystem models to that described in the earlier article Creating and using subsystems. To illustrate the submodel aggregation feature, a basic rear wheel drive model that contains three flexible shafts will be considered. The rear wheel drive model can be simplified by grouping the three components of the flexible shaft into a submodel. 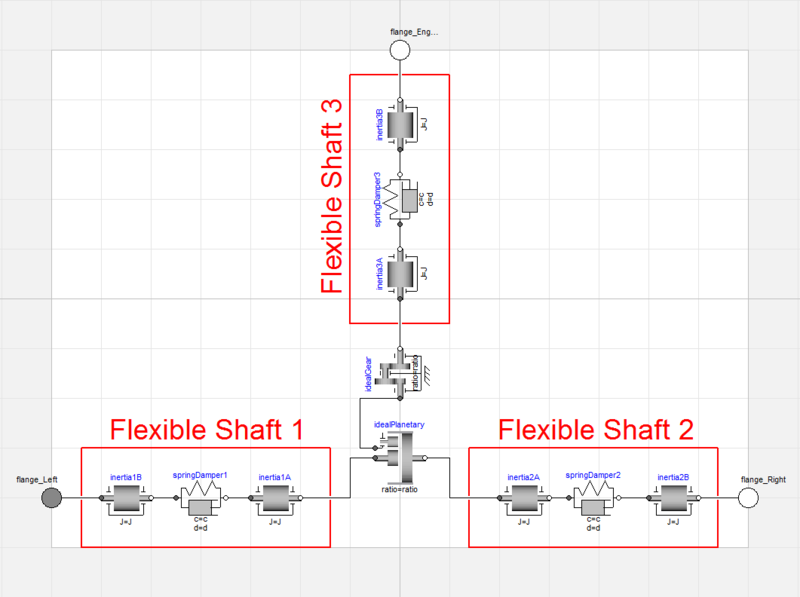 The submodel can then be reused for all three flexible shafts. To do this, the components to be moved into the submodel are selected, in this case two inertias and a spring-damper. The context menu is opened by right clicking, and the option Create Submodel… should be selected. Insert in package: The submodel is stored as a separate model in the specified package; this option should be selected if the submodel is to be reused. Local to current model: The submodel is stored within the original model. After creation of the flexible shaft submodel, named FlexibleShaft, the rear wheel drive model is altered as shown below. 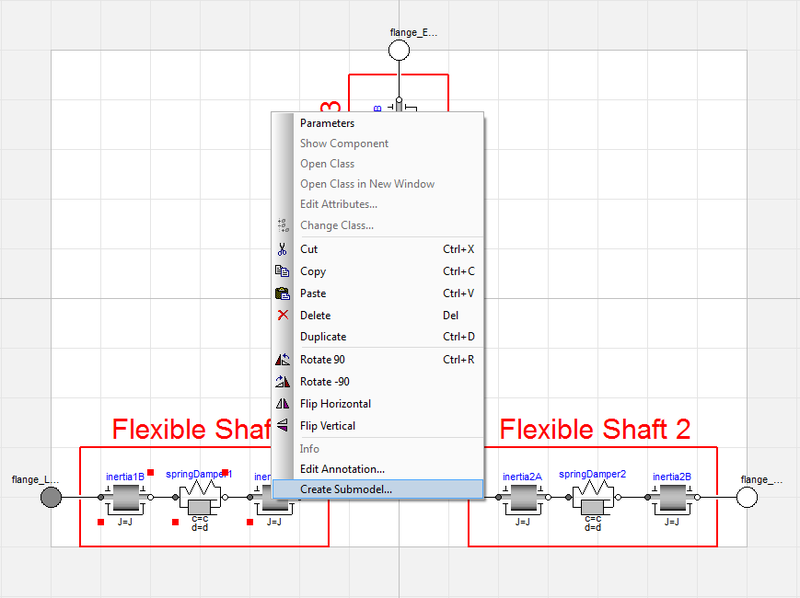 The FlexibleShaft submodel can now be reused to replace the components of flexible shafts 2 and 3. The diagram of the FlexibleShaft submodel is given below. Note that, the required connectors were automatically added when the new class was created and the connections between components were maintained. 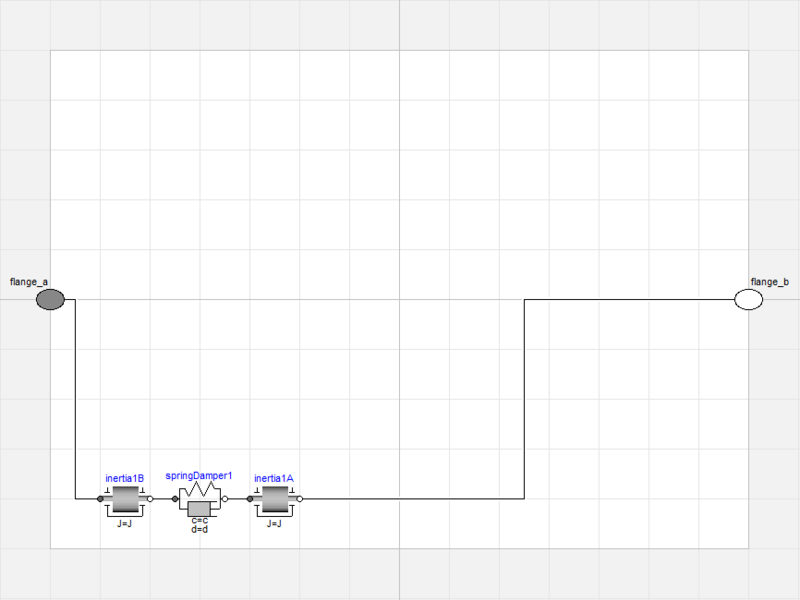 At this point, an icon can be added and important component parameters propagated ready for reuse of the submodel.